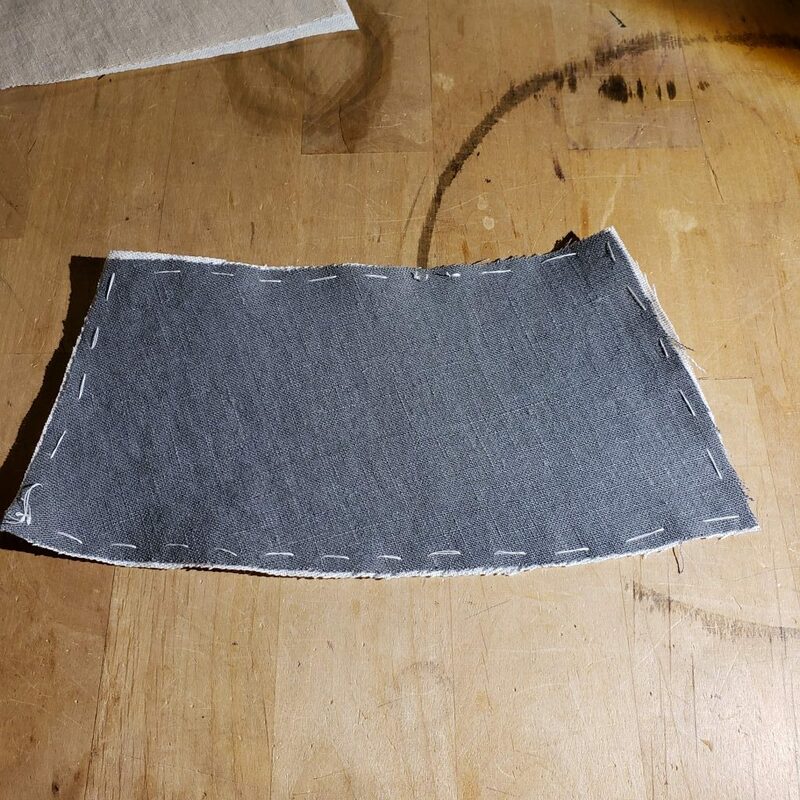 There’s two ways (that I know of) where you talk about “ease” in sewing. 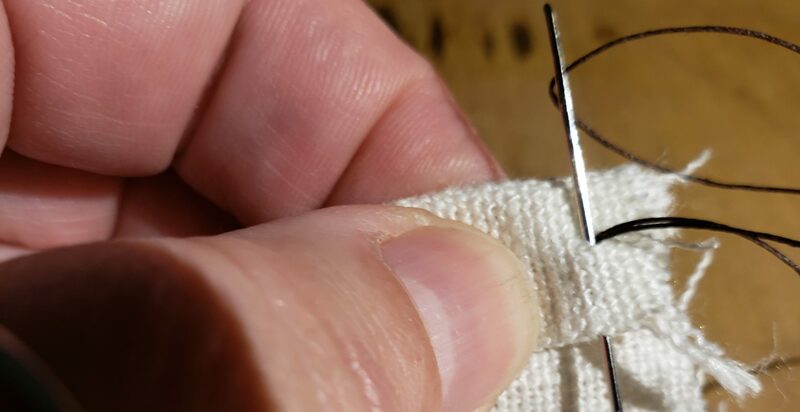 First you add (or remove) ease on a garment so that it is larger (or smaller) than the actual measurement. An early period tunic has more ease than a late period form-fitting doublet. A corset is constructed with negative ease. Second you talk about easing one edge into another. As in the picture one piece of fabric (the grey) is shorter than the other (the beige). I want to sew these together without any pleats or pucker on the seam. 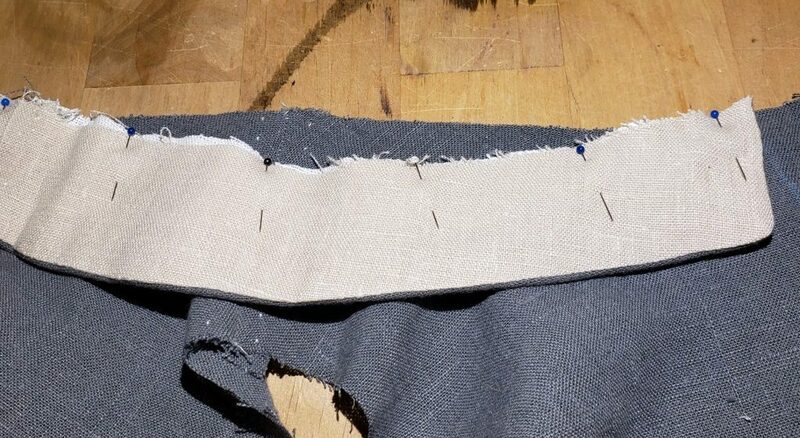 To do this I will stretch the grey and squish the beige and pin the heck out of it so that they both end up being the same length when sewn together. Because they’re both slightly on the bias this is easily done. 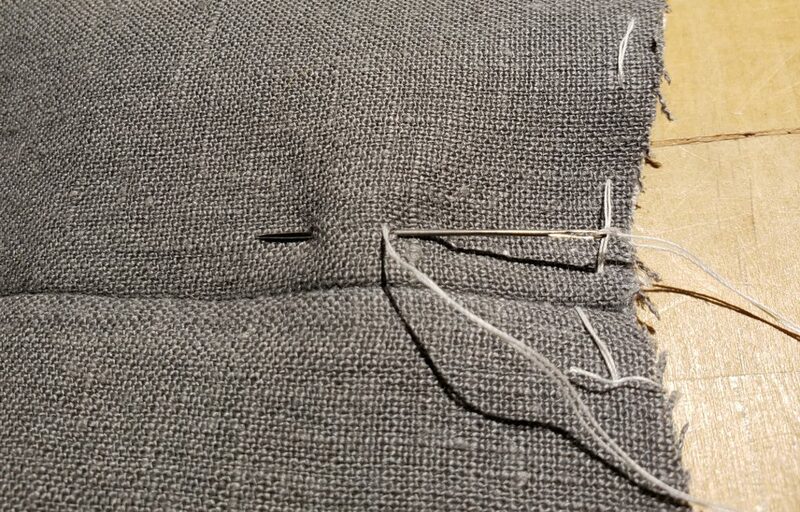 Coincidentally, in this case, this will add some kinetic energy to the seam which will help the collar to stand upright.